If your sales aren’t growing, you're probably missing one of these 4 ingredients. Can you vividly see where you are going as a sales person, or where your team or company is going? Are you hyper clear on your ideal customer? What type of business are you PASSING on? How are people talking about you in the industry? What tools or resources do you have at your disposal? How much fun are you having? Unlike solving for X in an algebra equation, there is never a single correct strategy for winning. Which is what makes sales and business so much fun. But you have to pick SOME type of strategy and give it a shot. What are the MEASURABLE activities that you THINK will get you to your goal? Now comes the actual work. You have to execute. You have to DO the activities from step #2 (Strategy). If you want to successfully grow sales, you HAVE to keep score. And you can't just focus on the LAG metrics (number of orders, revenue, gross profit). If those aren't moving in the right direction, it's too late. Instead, focus on the LEAD metrics (number of sales calls, number of quotes, value of quotes etc). If you’d like to learn more about this, we have a training document on this topic, which is based on the book “The 4 Disciplines of Execution”, and you can check it out here. After a set period of time, if the LAG metrics aren’t moving, it’s time to change the LEAD activities (back to Strategy). 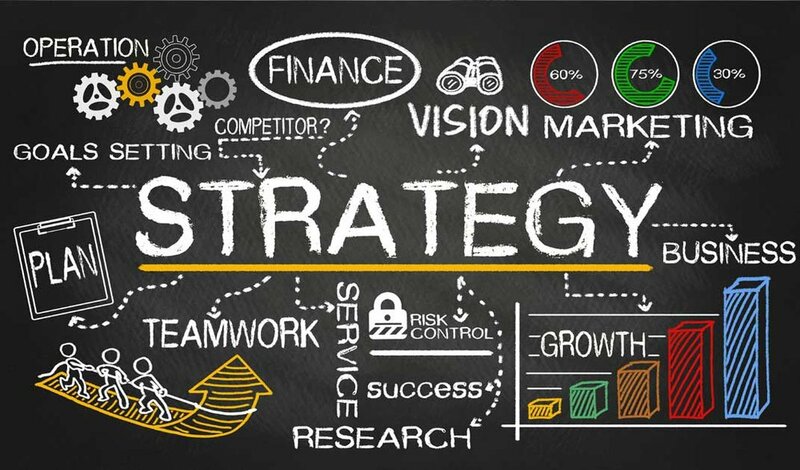 If you are unsure what strategy and activities will work best, ask for help! Ask your boss, find a mentor, read some sales or business books. Do you have all 4 ingredients in place?